Humans make mistakes, after all, no human is perfect. One mistake made in the 11th century resulted in a 14,500-ton leaning tower. This miscalculation would later become a symbol of civic pride, but tell that to the man who designed it! The learning tower of Pisa, known as Torre Pendente di Pisa in Italian, is different than most medieval architecture. This particular section won't cover the highly advanced construction techniques that were used; it is important to mention how this tower's design is significant. The Leaning Tower is the third oldest building on Pisa's Piazza del Duomo (Cathedral square), the Cathedral and Baptistry were first. Utilizing many columns and arches, this tower represents an advanced understanding of weight and load characteristics, showing the Italian architectures' knowledge. What the architect didn't account for, however, was the base of the tower being built on a dense section of clay. The construction of the Tower of Pisa began on August 9, 1173. Originally designed to be a bell tower, the tower stood upright for over five years, but just after the completion of the third floor (1178), it began to lean. The citizens of Italy were shocked as it began to lean ever so slightly. The foundation of the tower, only 3 meters deep, was built on a dense clay mixture and impacted the soil. As it turned out, the clay was not nearly as strong enough as required to hold the tower upright, and so the weight of the tower began to diffuse downward until it had found the weakest point. After this, construction halted for 100 years. The government hoped that the soil would settle, giving it enough strength to hold the weight of the tower. As well, the country was focused on its war with Genoa, which was quite brutal and ravaging at the time. 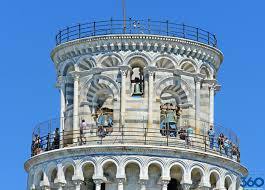 After the 100 year hiatus, Giovanni di Simone stepped forward in 1272 and began to add four more floors to the tower. He managed to cause the tower to lean over more when he tried to compensate for the original lean by making one side of the upper floors taller than the other. In 1284, Construction was halted again, this time because of the Battle of Meloria, in which the Pisans were defeated by the Genoans. In 1319, the 7th floor was finished. The bell-chamber was added in 1372, and then the tower was left alone until the 19th century. In 1838 Alessandro Della Gherardesca, an established architect, dug a pathway near the base of the tower so that people could see the intricately crafted base. The tower began to lean even more as a result, likely due to the decreased amount of support available within the soil. This war was brutal and bloody for the entire world, and its effects were felt everywhere from America to rural Africa. About the leaning tower of Pisa, however, it is pure luck. When the American soldiers invaded, they were ordered to destroy any and all buildings to neutralize the thread of enemy snipers. There were no exceptions to this rule, and hundreds of buildings were blown up as the forces steadily advanced over the Italian countryside. The only thing that prevented the leaning tower of Pisa from being destroyed was a retreat that took place shortly after the arrival of the Americans, necessitating no need to destroy the national monument. 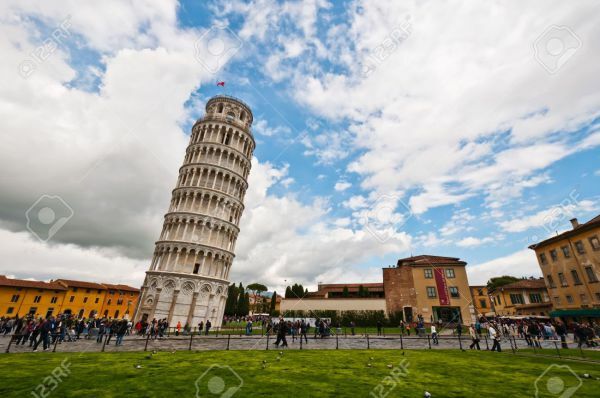 In 1964, Italy asked help to prevent the Leaning Tower from toppling. 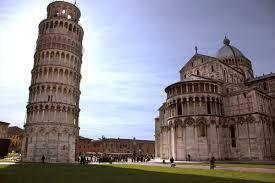 They wanted to keep the lean, though, because of its importance for Pisa's tourism. A team of engineers and historians came together on the Azores to discuss the problem. As a temporary measure, a leaden counterweight (800 tons) was installed. In 1987, the Leaning Tower of Pisa had declared a Unesco World Heritage Site, along with the entire Piazza Del Duomo. In 1990, the Leaning Tower was closed. The bells were removed, and the tower was anchored. Reopened in 2001 for tourists, the leaning tower of Pisa is finally sturdy and safe. Naturally, climbing to the top of the tower has become the most popular tourist activity within reason, and for good reason: with a history as deep and as wrought with the unfortunate circumstance like this one, it's hard not to get excited about.